Canadians may be paying more than they would like for wireless services, but they get access to some of the fastest speeds in the world, according to the latest report from wireless-mapping firm OpenSignal. 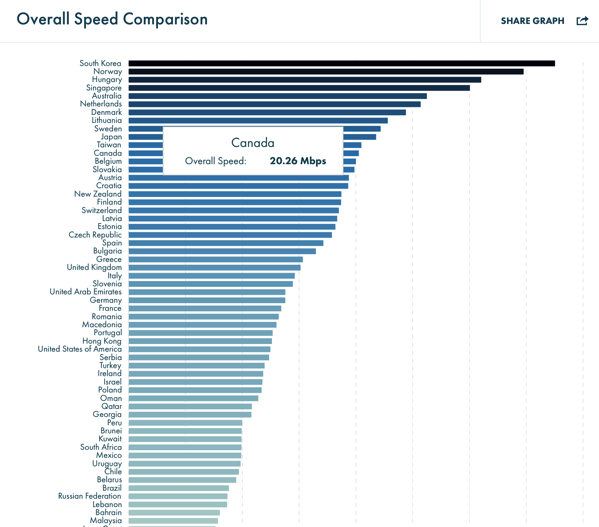 Of the 87 countries OpenSignal ranked, Canada took 12th place in terms of overall speeds users see over the carrier’s data networks, with average download speeds of 20.26 Mbps. That compares to last August when the overall speed measured by OpenSignal was 18.31 Mbps. This data includes speeds measured on both 3G and 4G networks. In November, when OpenSignal analyzed the state of LTE, the data showed an overall speed of 26.55 Mbps. 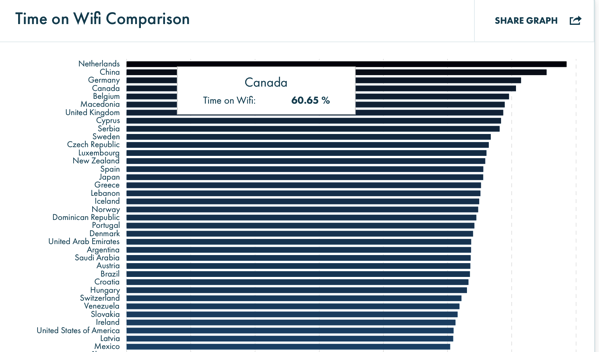 Canada was among the top ten counties with users spending online time on Wi-Fi networks instead of keeping their cellular connection. The Netherlands kept its lead in this segment, while Canada has moved from #10 since last August to #3. Overall download speeds of the 87 countries are pretty broad, ranging from 3 Mbps up to 30 Mbps, OpenSignal has found after crunching over 19 billion data points collected from 1,095,667 users between Nov. 1, 2016 and Jan. 31, 2017. 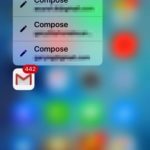 The data was collected from users of the OpenSignal mobile apps for iOS and Android. The fastest download speeds were recorded in South Korea (37.54 Mbps), followed by Norway (34.77 Mbps), while Hungary grabbed third place with 31.04 Mbps. You can read the Global State of Mobile Networks (February 2017) on the OpenSignal website.